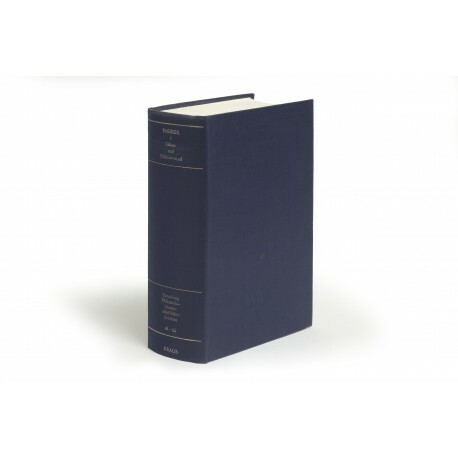 Two volumes in one (23.5 cm), xi (1), 518 (2) pp., with 2 plates; (6) 480 (8) pp., with 8 plates. Publisher’s blue cloth binding (no dust jacket issued). 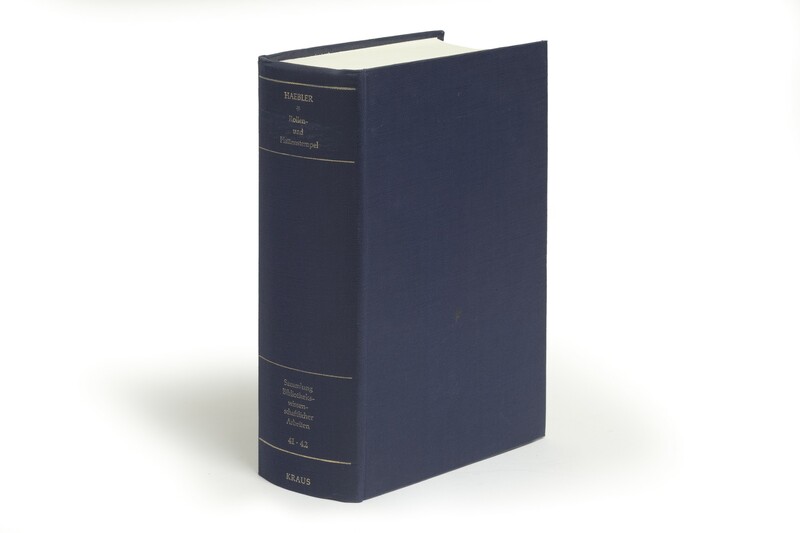 - Facsimile reprint of the edition Leipzig: Harrassowitz, 1928-1929, in the series Sammlung Bibliothekswissenschaftlicher Arbeiten (nos. 41-42). ¶ Excellent copy.